At the instigation of the philanthropists Boris and Ināra Teterev, the Foundation has established an award: the Badge of Honour. It is awarded to an organisation or a personality for special accomplishments in encouraging charitable and voluntary work or for the long and selfless work in a particular area or a project for the public good with outstanding success. 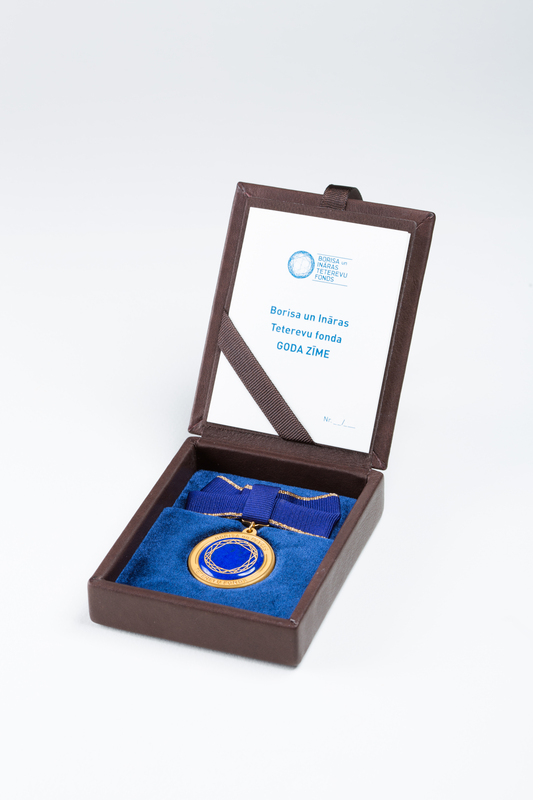 The Badge of Honour is a medallion with a diameter of 35 mm, which is made of a gold-plated silver frame with a dark blue lapis lazuli in the centre. A stylized version of the Foundation’s graphic badge is engraved on it in gold plate, accenting the importance in the achievement of success of those points where collaborations intersect, as well as reflecting the Foundation’s work all over the world. 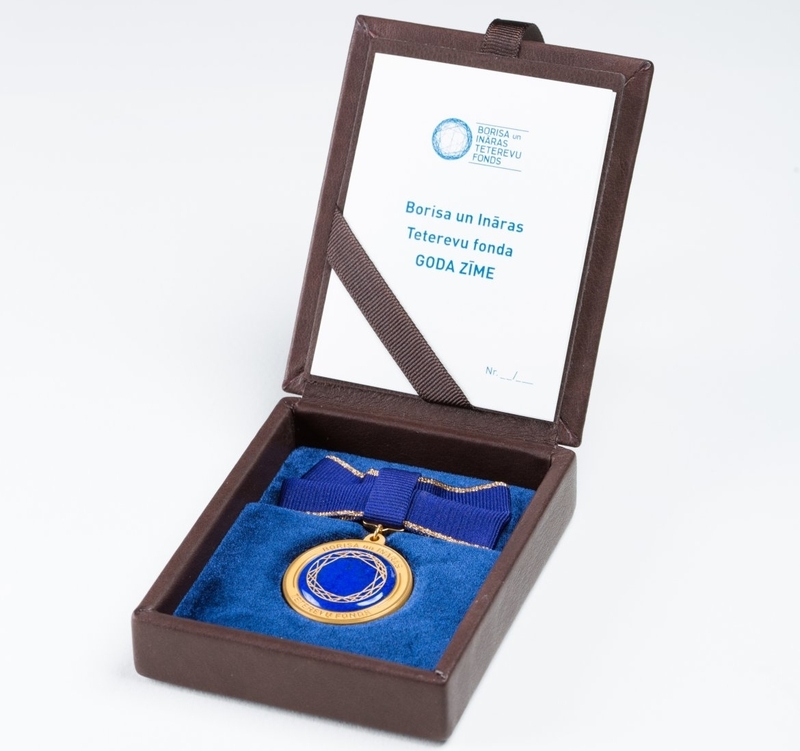 The name of the issuer of the award, the Boris and Ināra Teterev Foundation, is engraved on the medallion’s outer frame. A Badge of Honour with a first edition number was presented to Ruta Dimanta, Head of the Ziedot.lv Foundation on 20 May 2016 during “Nowhere for a Pin to Drop”, an event held to honour charitable and voluntary work.